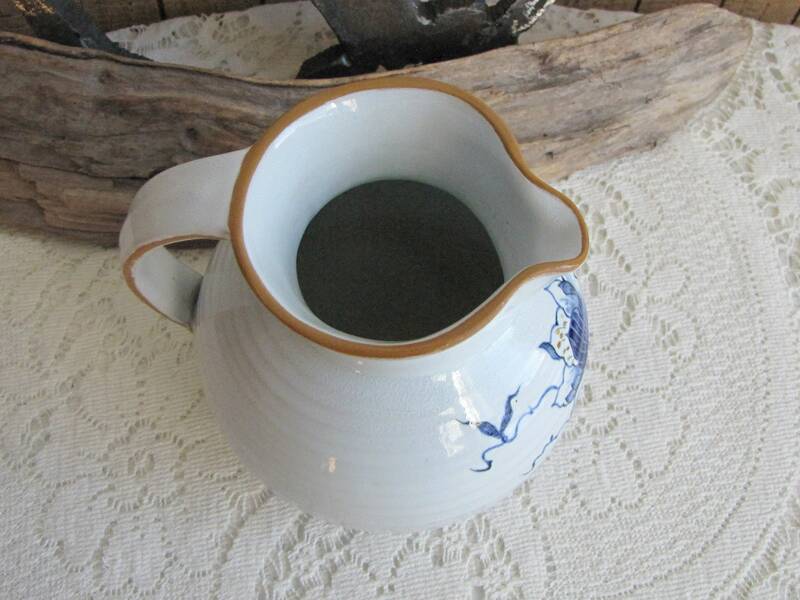 The creamer or small pitcher is made of clay (pottery). 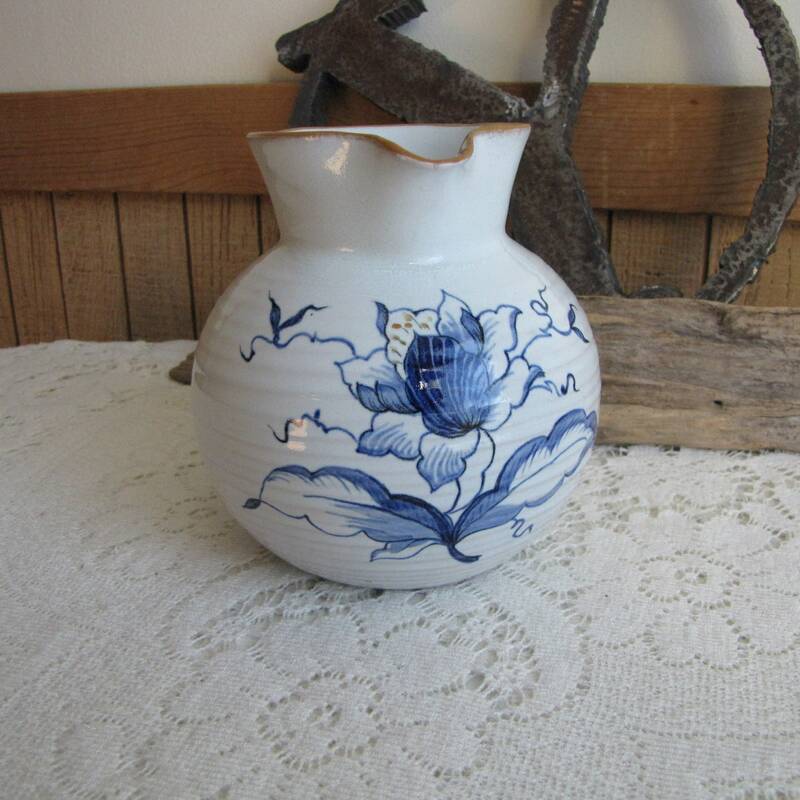 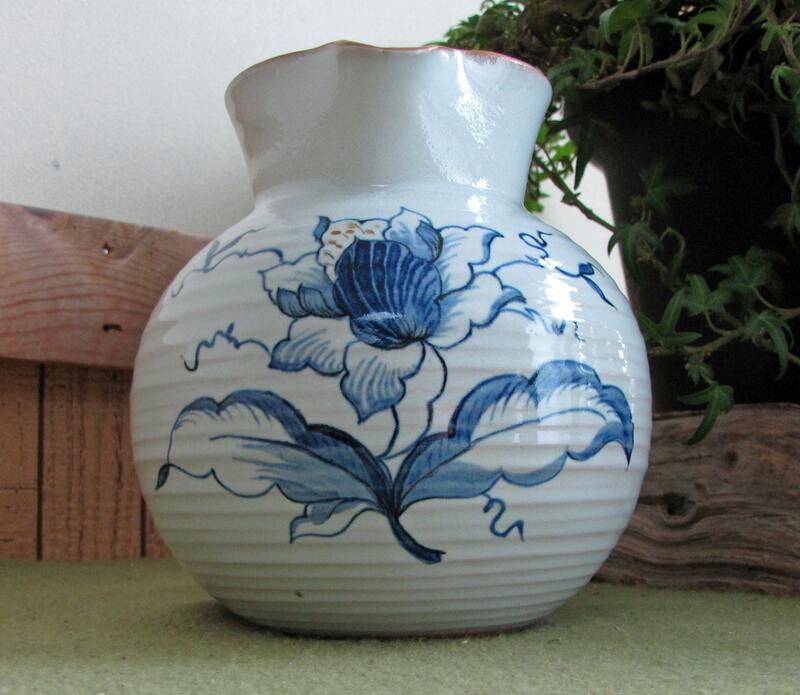 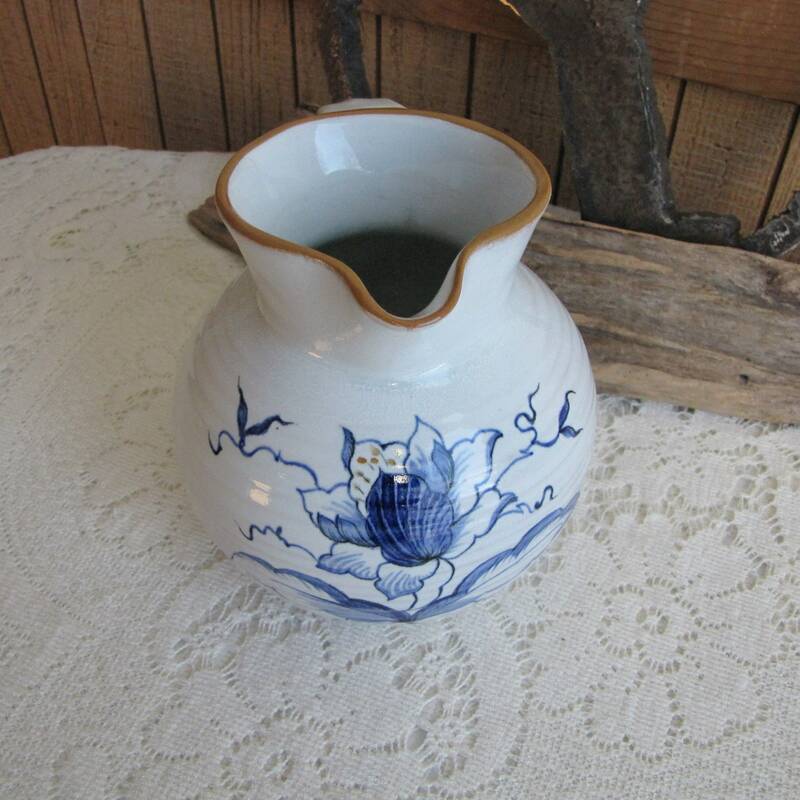 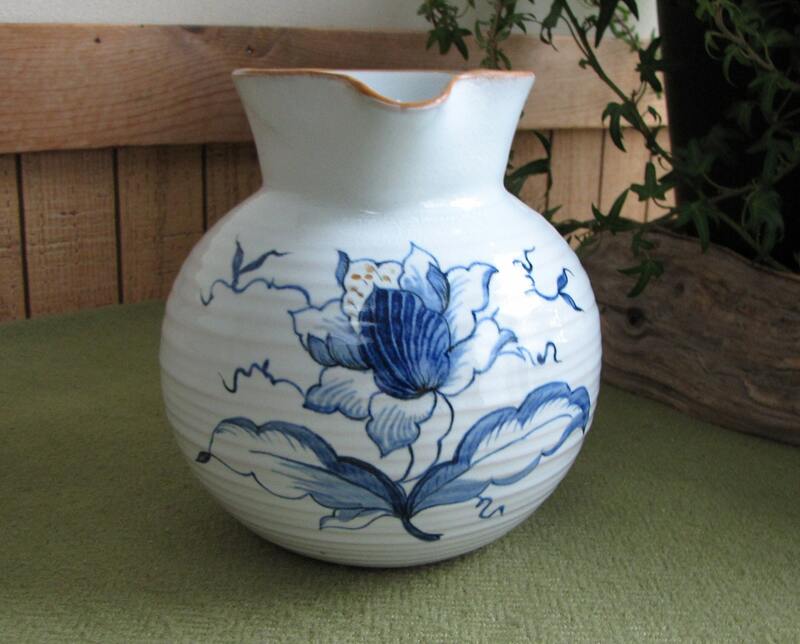 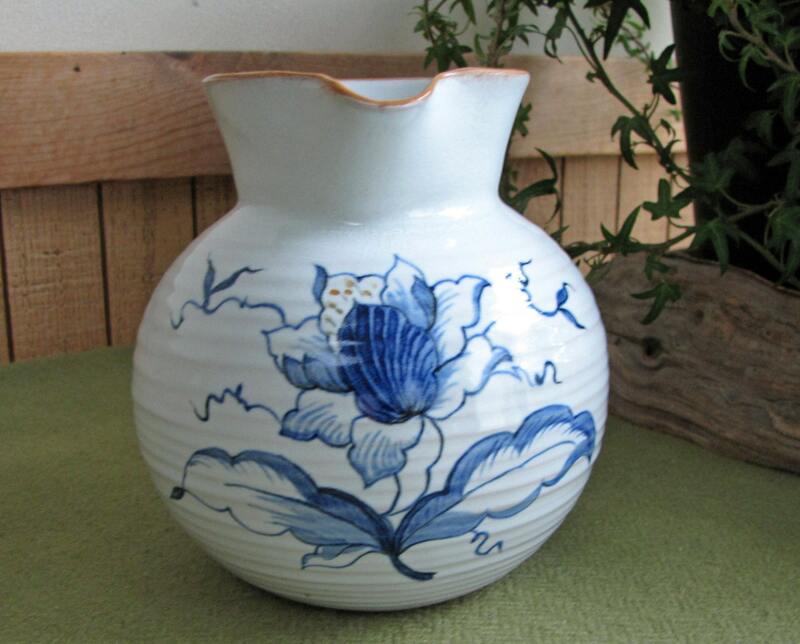 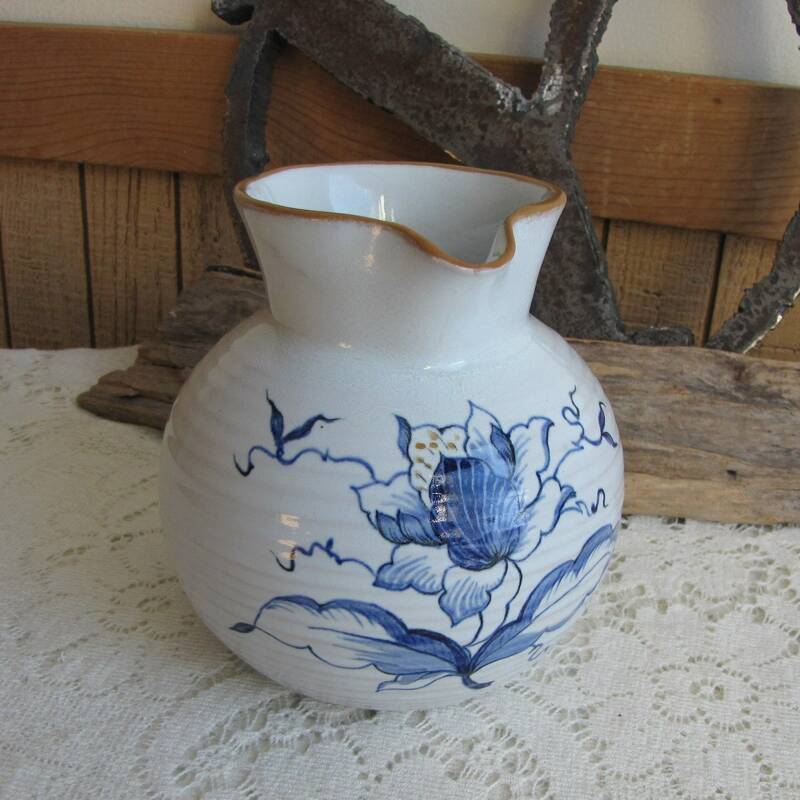 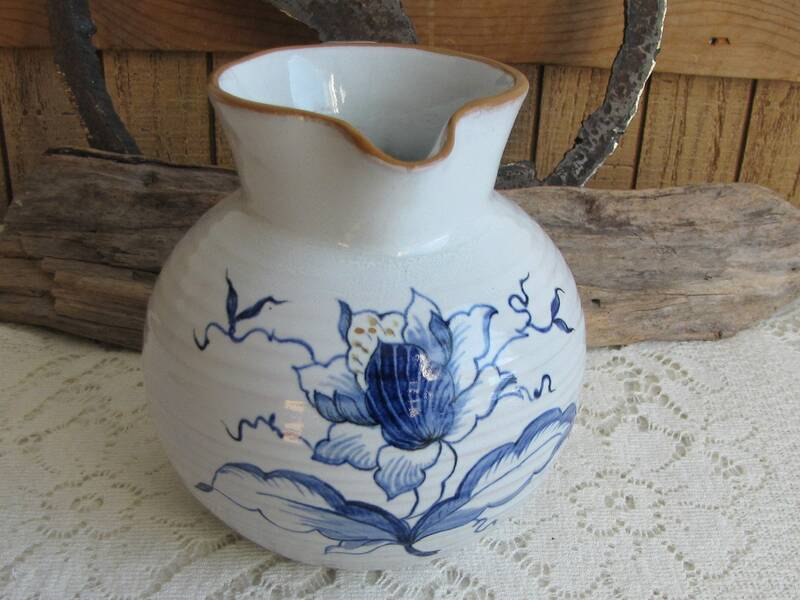 It has a lovely blue flower design painted on the white glaze. 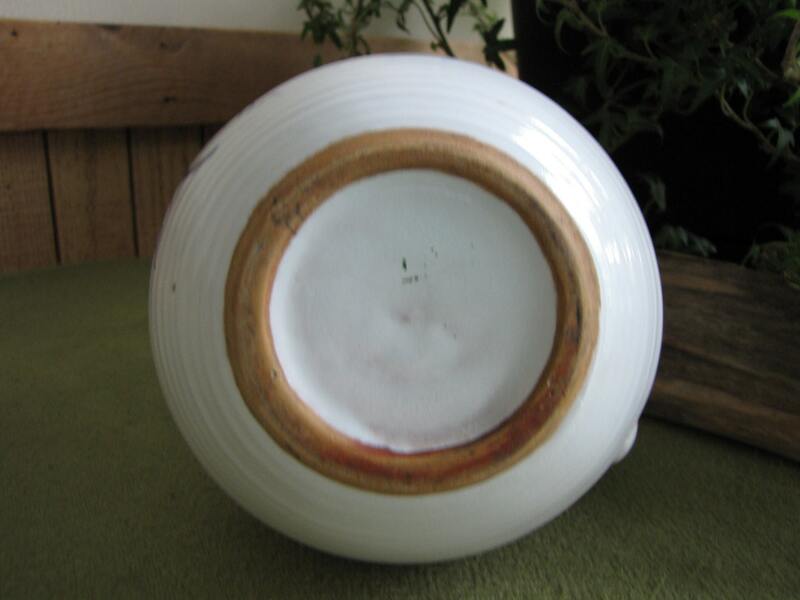 It is in very good vintage condition with no chips, cracks, or crazing. 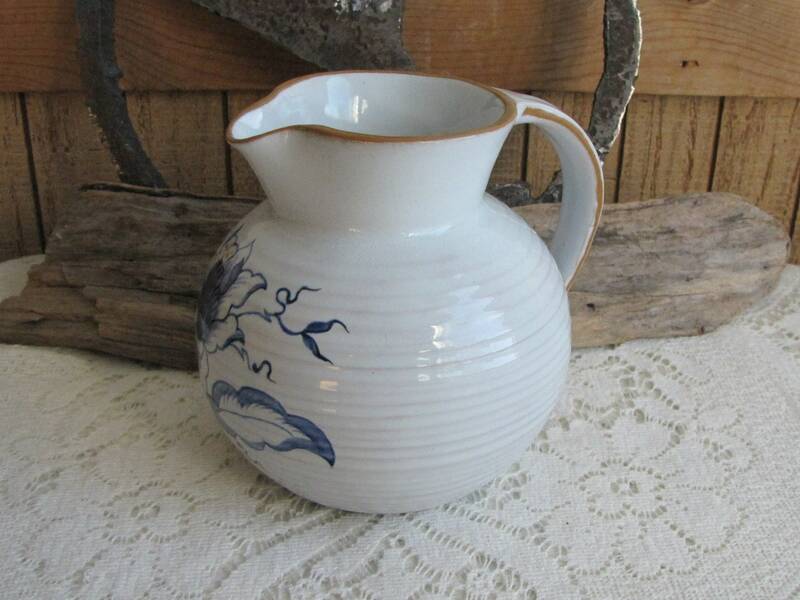 The pitcher measures 5.25 inches tall and is approximately 5 inches at its widest point.